Brendan is a native of Sion Mills, Co Tyrone in Northern Ireland. He received his early education in St. Colman’s H.S. Strabane, and in third level education at Queen’s University, Belfast, where he specialised in performance and composition. Now based in Dublin, Ireland, with his wife and four daughters, Brendan is a full time musician as a percussionist, and less frequently on tuba, keyboards and bass. As a conductor he is in much demand with brass and wind ensembles, orchestras and choirs across Ireland. As a composer and arranger, Brendan’s music has featured with orchestras, brass and concert bands across Ireland, the U.K., Europe, and the United States of America. Amongst the leading ensembles and groups that have performed and recorded Brendan’s work are the RTÉ Concert Orchestra, the Cory Brass Band, the Roberts Bakery Band, the Irish Defence Forces Bands, the Band of An Garda Síochána, the RTÉ ConTempo String Quartet, The Chatham Saxophone Quartet, as well as noted artists such as Cara O’Sullivan, Brian Kennedy and Peter Corry. In recent years Brendan has had the role of Musical Director with Arklow Silver Band, the Dublin Symphony Orchestra and the Lucan Concert Band, Assistant Musical Director with Dublin Concert Band, as well as a member of staff at the Artane Band and School of Music, specialising in lower brass. 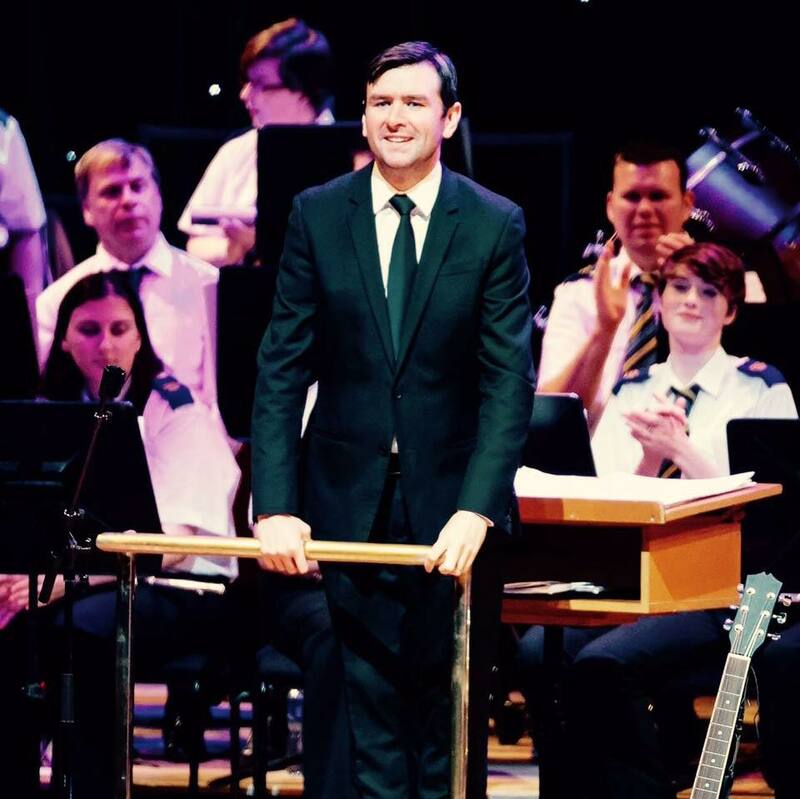 Brendan is currently the Musical Director with the Ardee Concert Band, the Downtown Big Band, the Irish Film and Pops Orchestra, and Artistic Director of the Irish Youth Brass Ensemble. Having completed a two year Master of Music course with the Royal Irish Academy of Music in Dublin, Ireland, Brendan attained a Pass with Distinction specialising in Conducting & Composition. He has also been integrally involved in the setting up and oversight of the RIAM Wind Festivals, regional development music workshops and masterclasses for community and school musicians of various levels, and continues to expand these events on behalf of the RIAM. In July 2016 Brendan was invited to take part in the Guildhall School of Music Opera Programme in Fontainbleau, France, working on and developing new repertoire for opera. Later in the summer of 2016 Brendan’s music featured in the Dublin Fringe Festival, in the theatre production of ‘To Hell in a Handbag’. In February 2017 Brendan was awarded the 2nd place prize winner of the Ensemble de Cuivres Valaisan Composition Contest for his original work ‘Cruise Control’, as well as the audience award from the premiere performance of the three winning entries. Brendan’s work was amongst 45 entries in the competition hosted by the Swiss Open Championship Winning Brass Band. Brendan will lead the Irish Youth Brass Ensemble in July 2017 as Artistic Director in their inaugural performance, as this national youth brass band of Ireland course brings together young musicians for an intensive and fun week with some of the finest brass and percussion professionals from across Ireland and Europe.